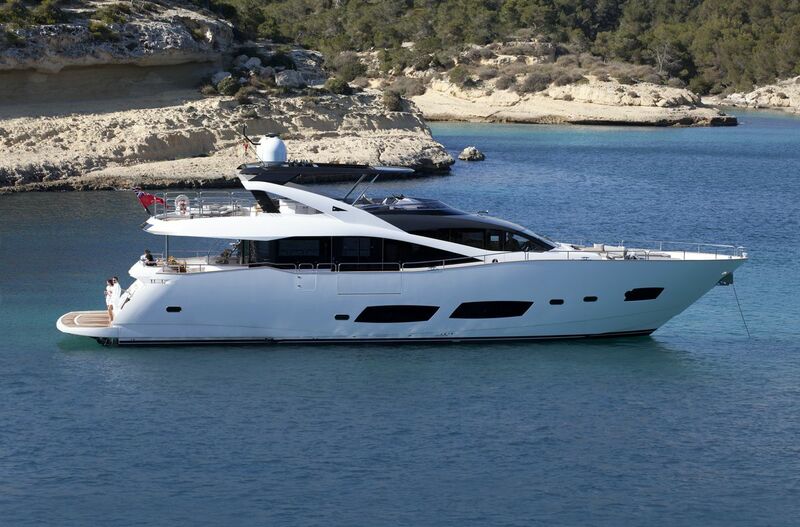 AQUA LIBRA is a 28m (91ft) luxury yacht created by Sunseeker in 2012. 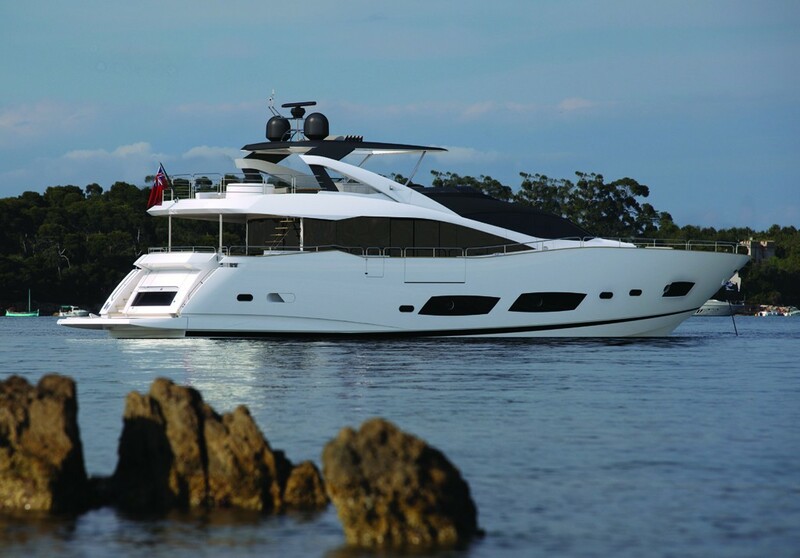 She is a light displacement motor yacht with smart, modern styling inside and out, great deck spaces including a Hydraulic submersible swimming platform that can be used as a beach club or recreation centre for the large array of water toys onboard. 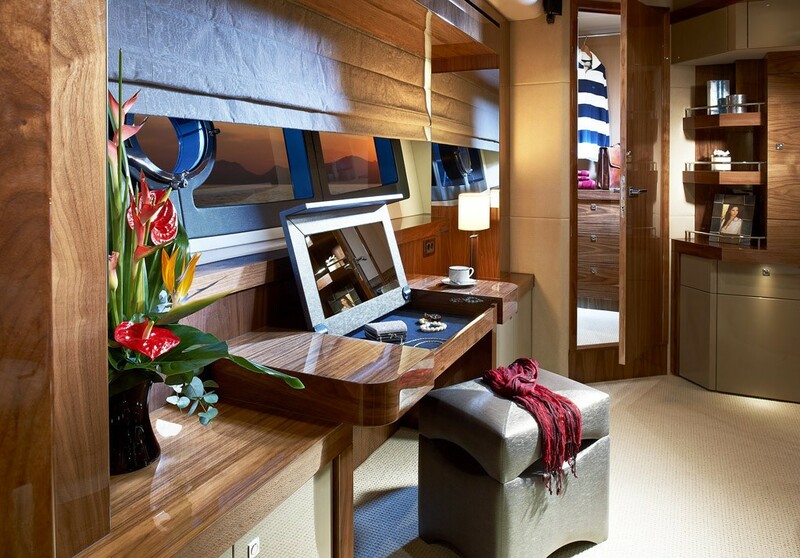 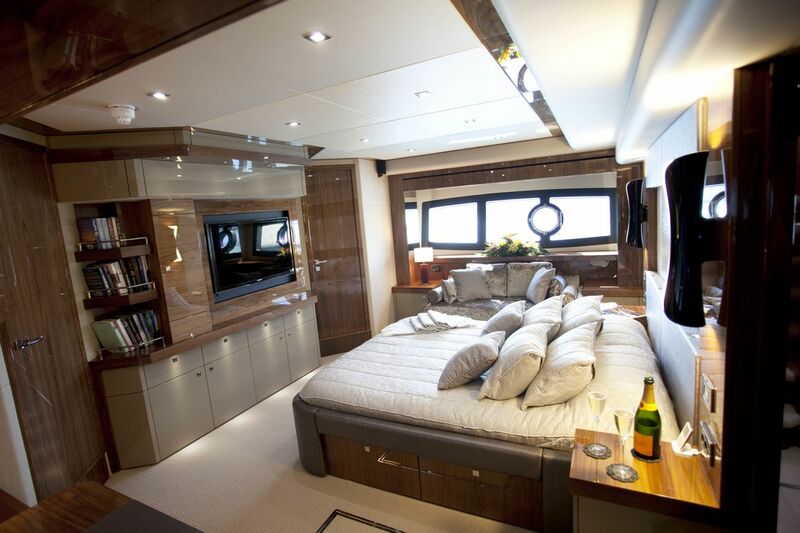 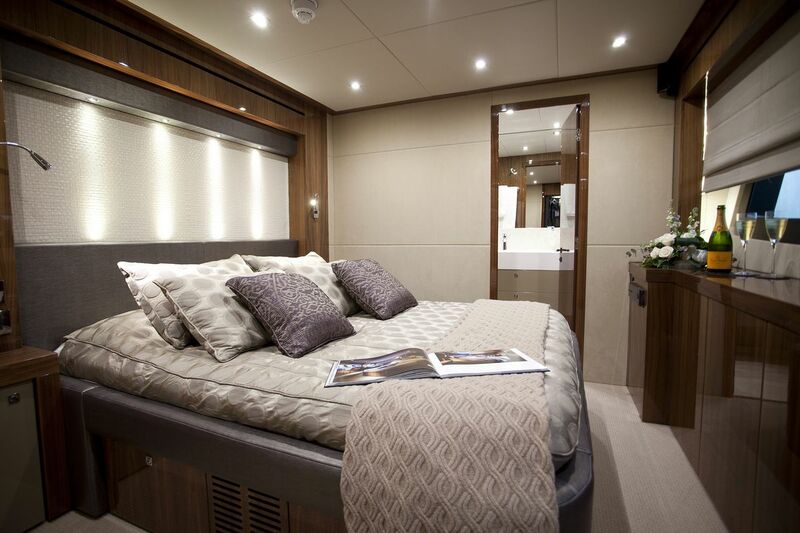 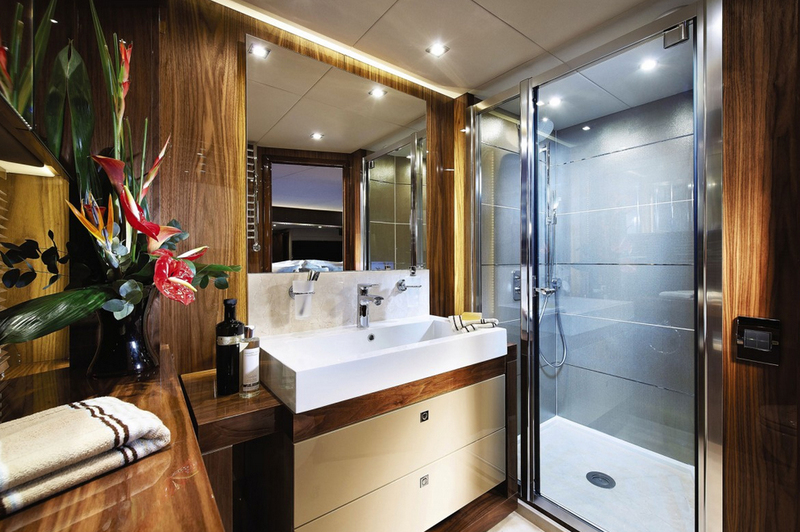 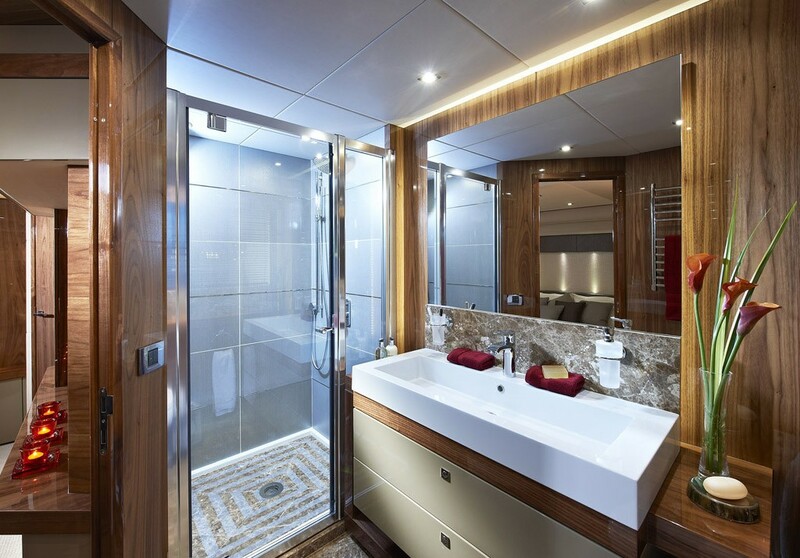 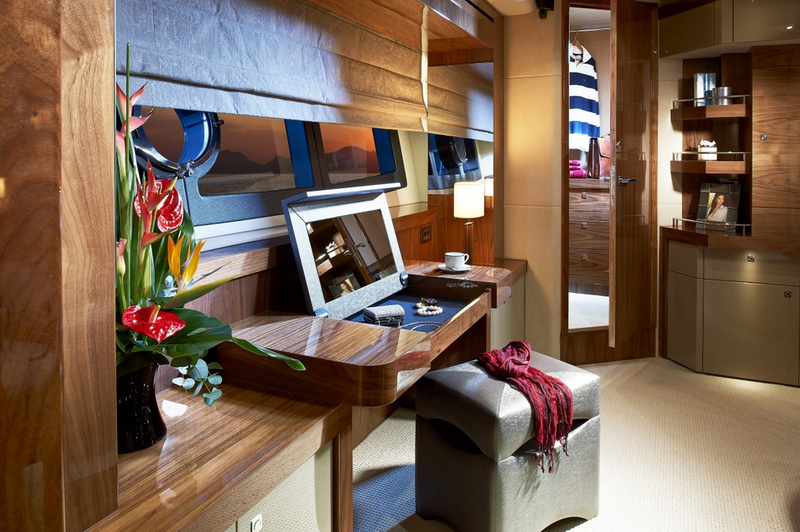 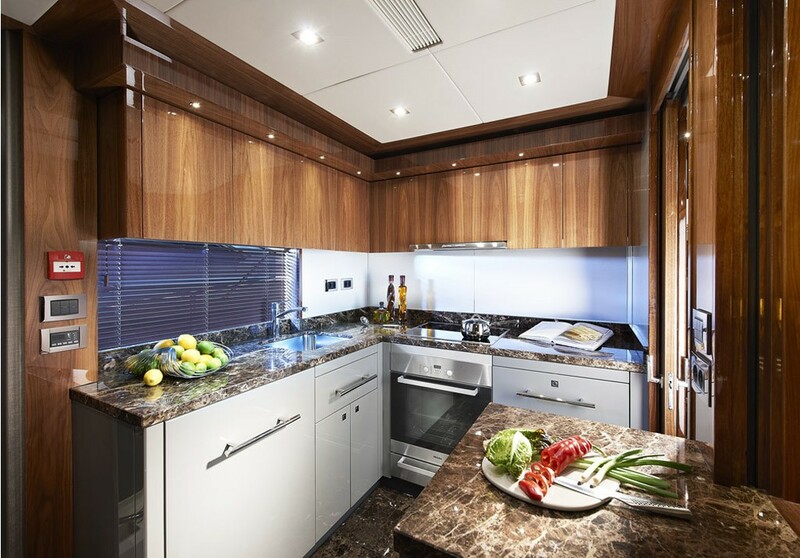 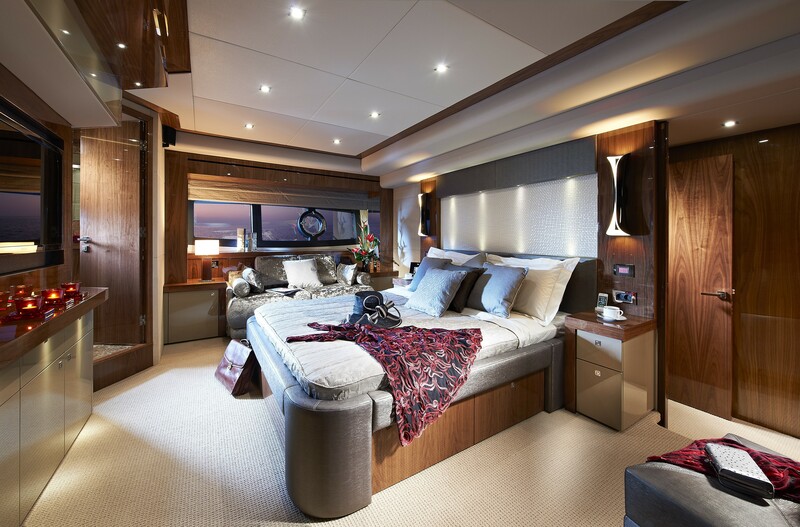 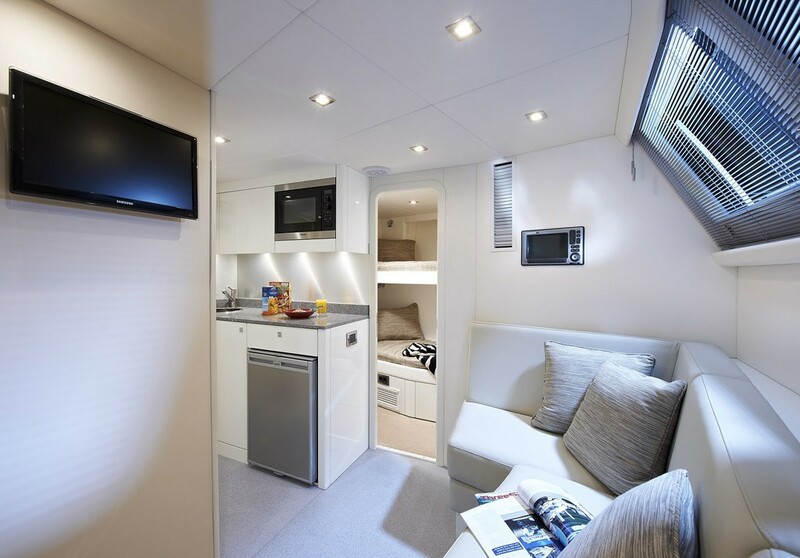 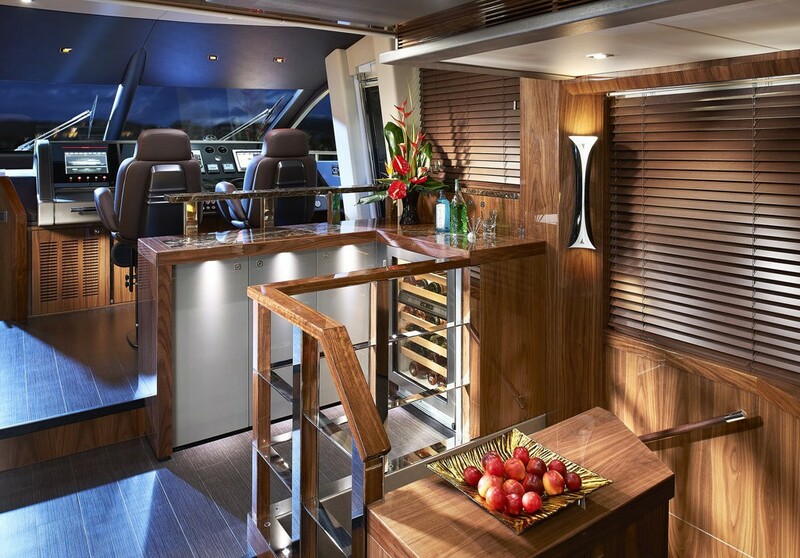 The yacht has guest accommodation for up to 8 guests in 4 stylish cabins. 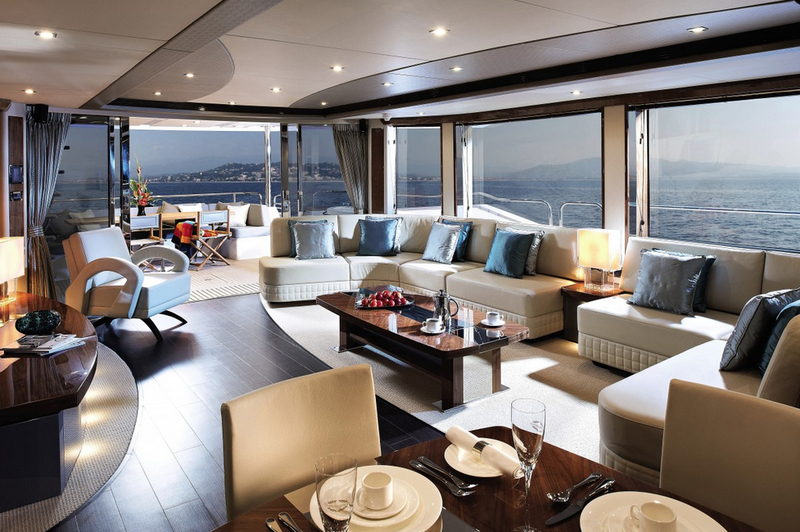 In the main salon, a sunken lounge provides ample, comfortable seating and is ideal for socializing featuring a large coffee table. 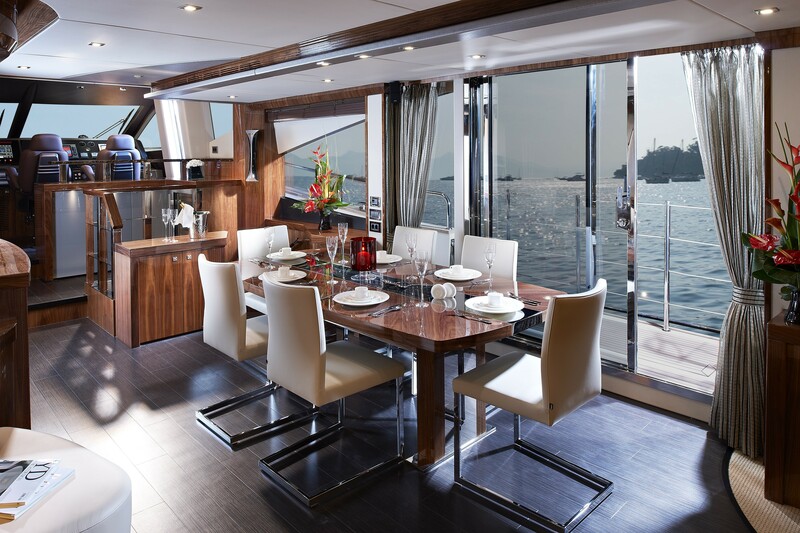 Forward of this, the open plan formal dining allows guests to dine in style with full height panoramic windows, allowing for fabulous natural light and a drop down balcony to bring the outside indoors. 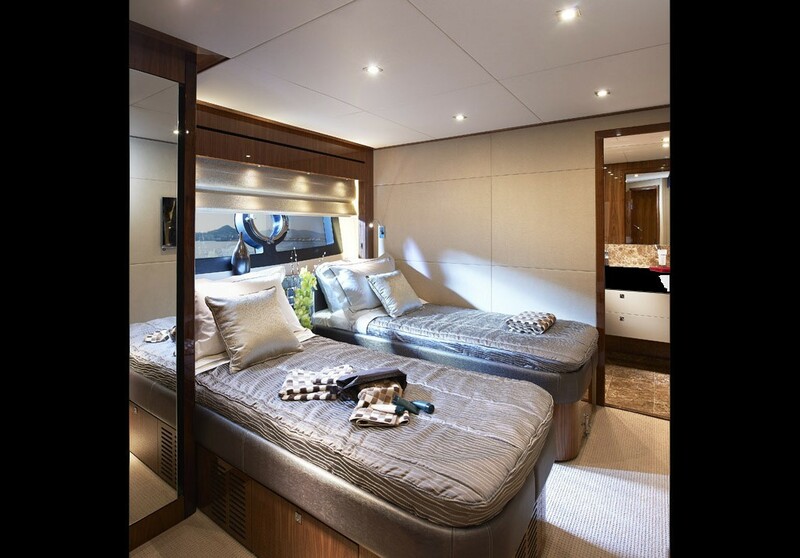 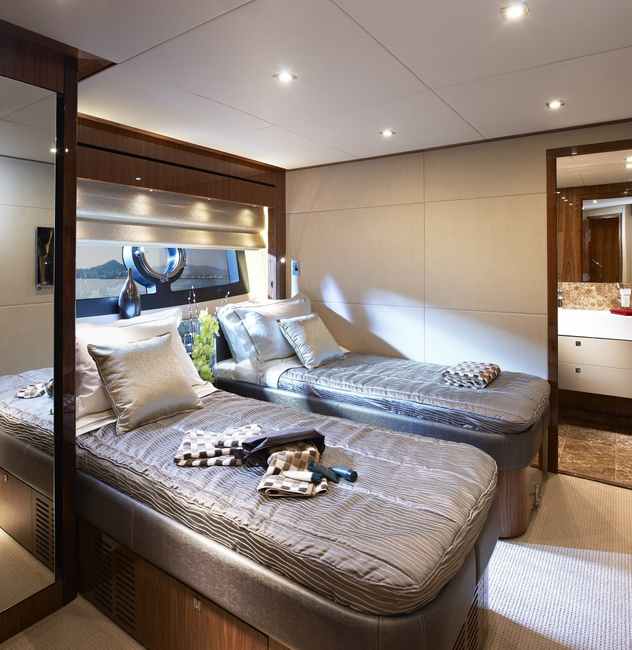 The master cabin offers a Queen Size bed, walk in closet, safe, dressing table and private seating area. 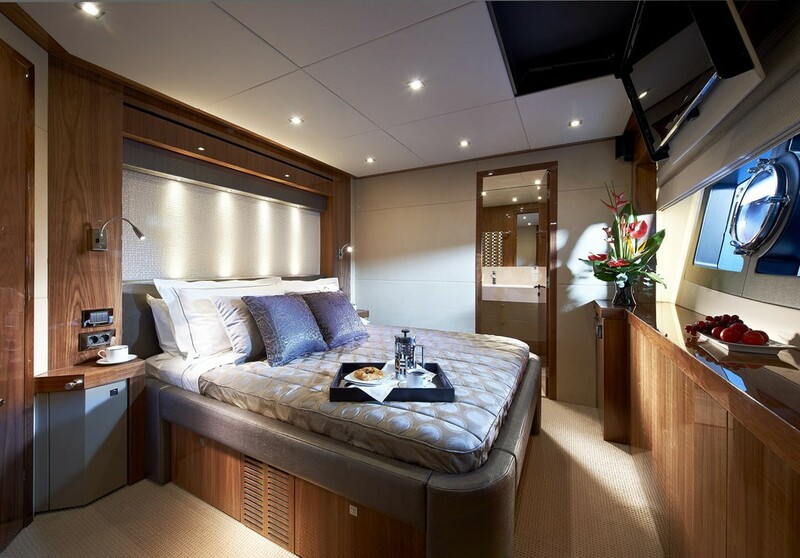 Other accommodation includes the VIP cabin, also with a Queen Size bed and safe plus 1 double cabins and 1 twin cabin with convertible beds – all cabins have air conditioning, WIFI and ensuite facilities. 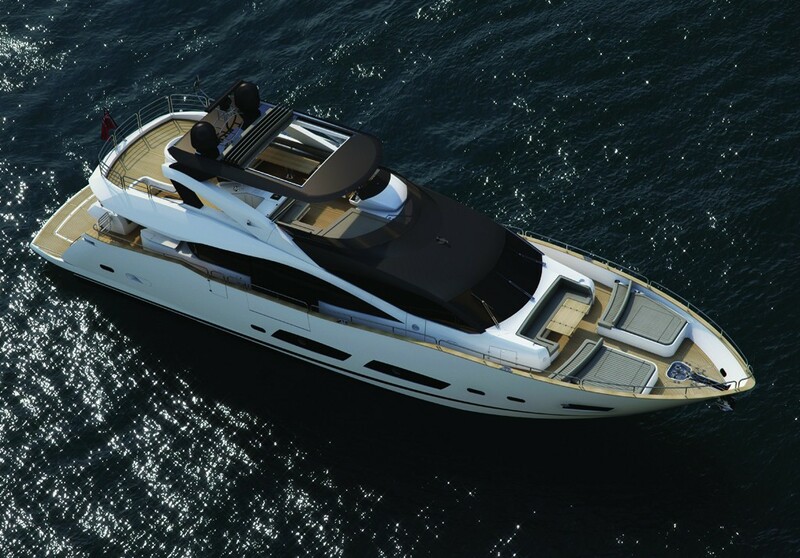 Exterior living is enjoyable with features across 2 decks. 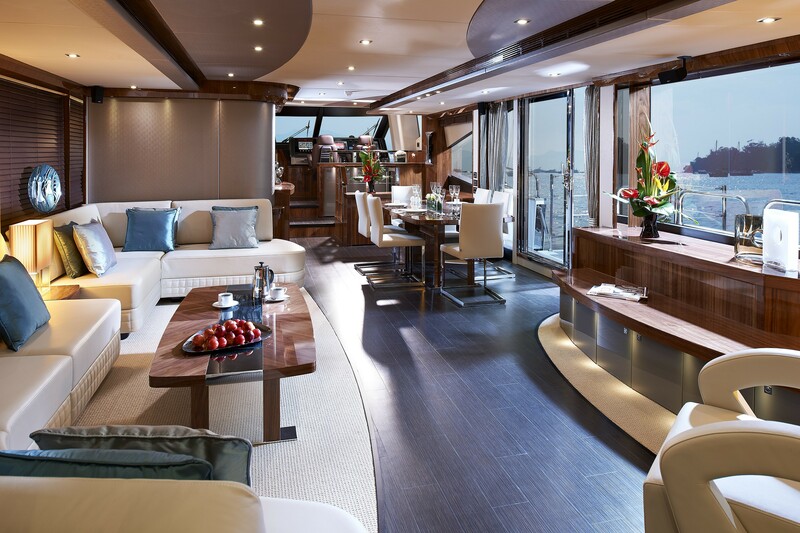 The main aft deck is adjacent to the salon with a shaded and an alfresco dining option and extra loungers. 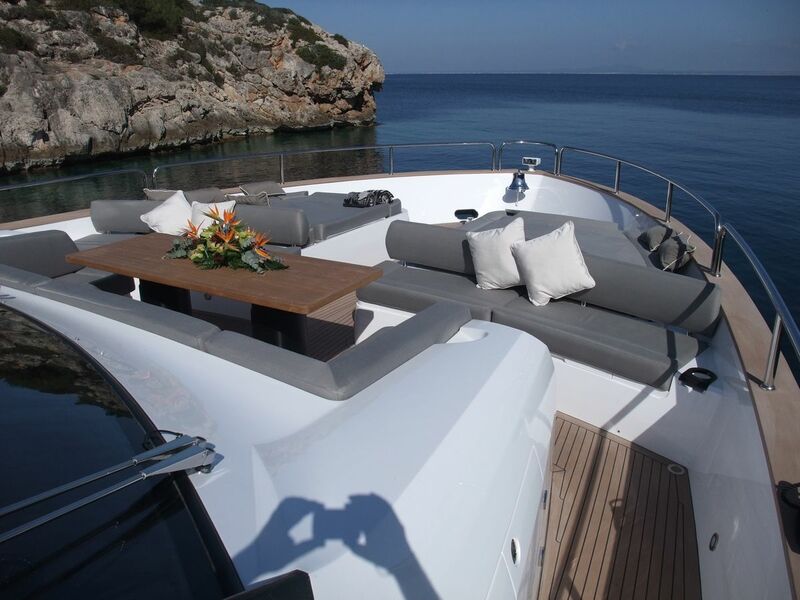 The foredeck boasts an array of plush sun loungers and additional seating to relax and enjoy the view. 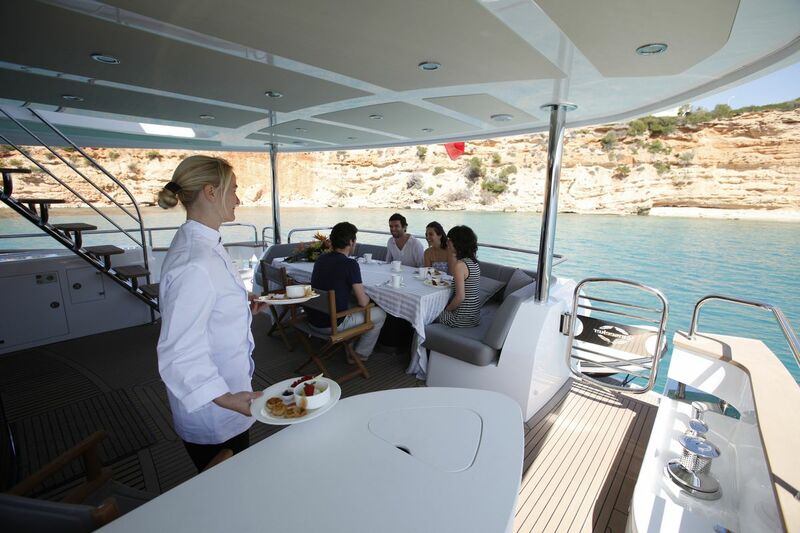 On the fly bridge, guests will find a well-appointed entertainment area, featuring a bar, sunbeds and alfresco dining with the option of shade thanks to an electric sliding Bimini. 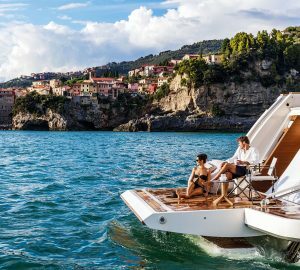 If water sports are high on the priority, the submergible swim platform is ideal for effortless sea activities. 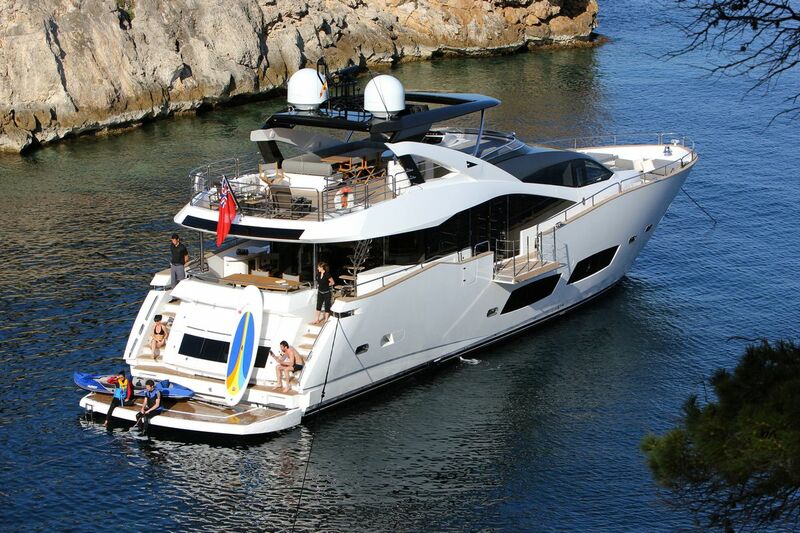 Powered by 2 x MTU 2000hp MTU engines, AQUA LIBRA cruises at 20 knots and has Stabilisers for added comfort. 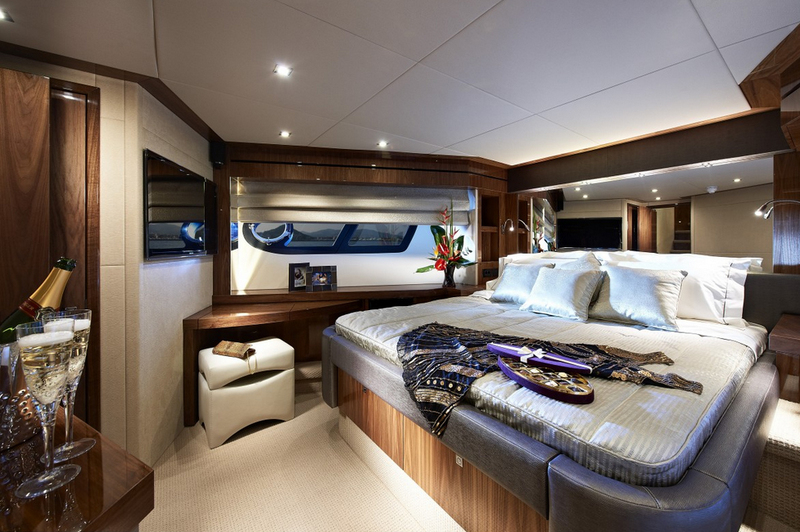 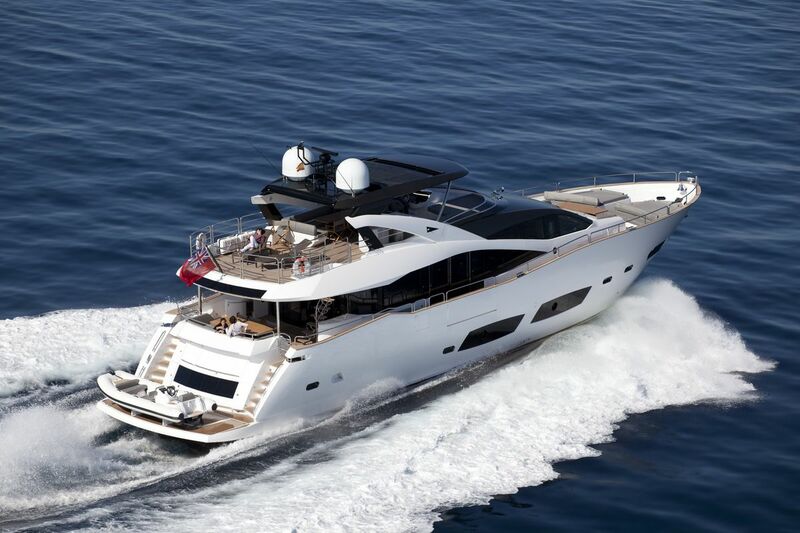 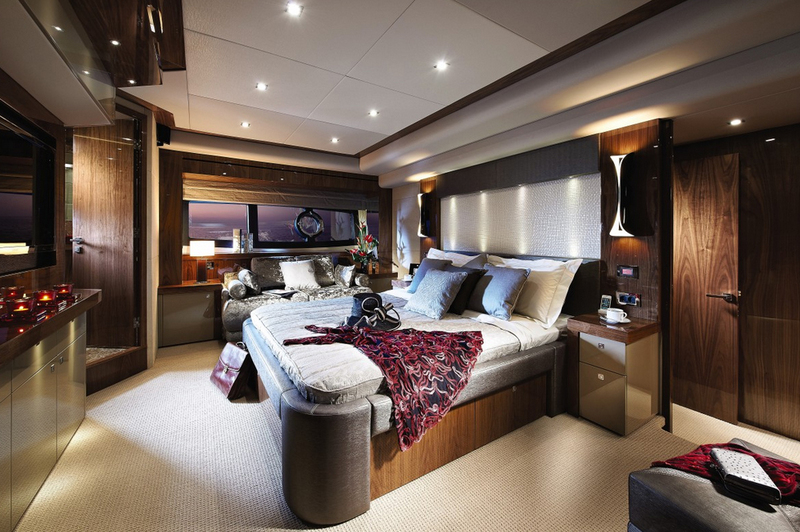 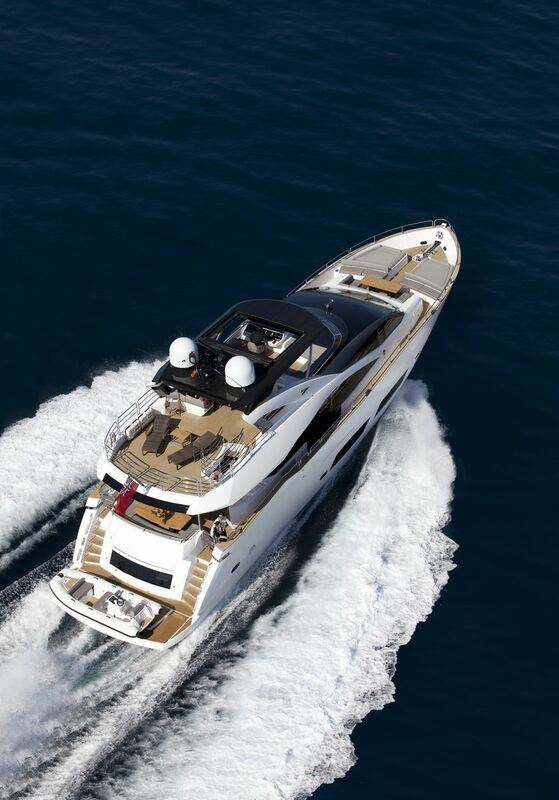 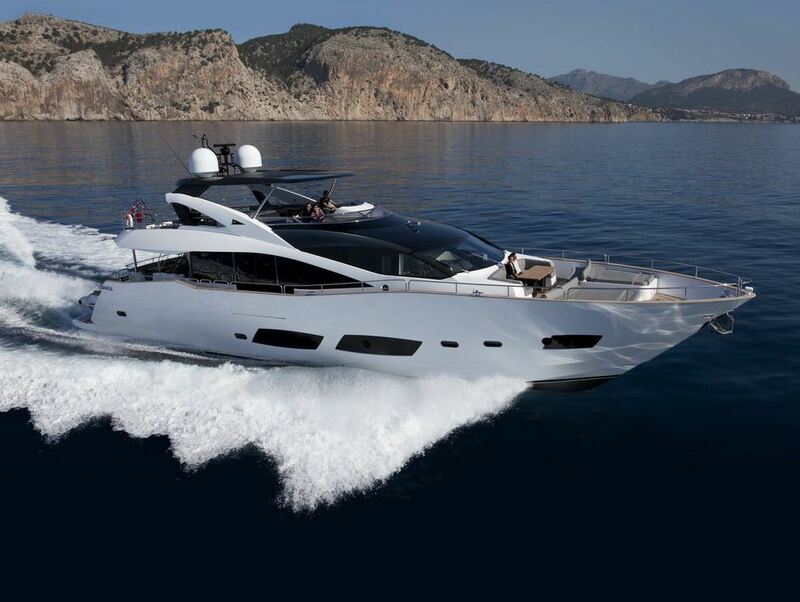 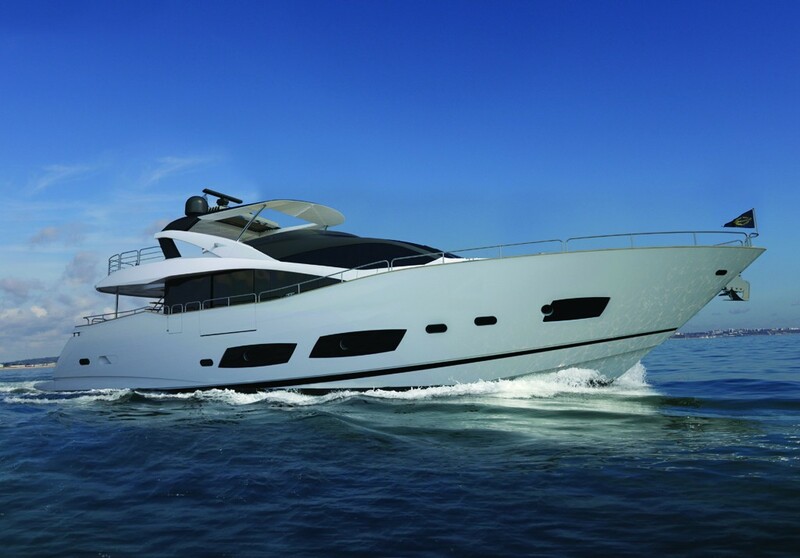 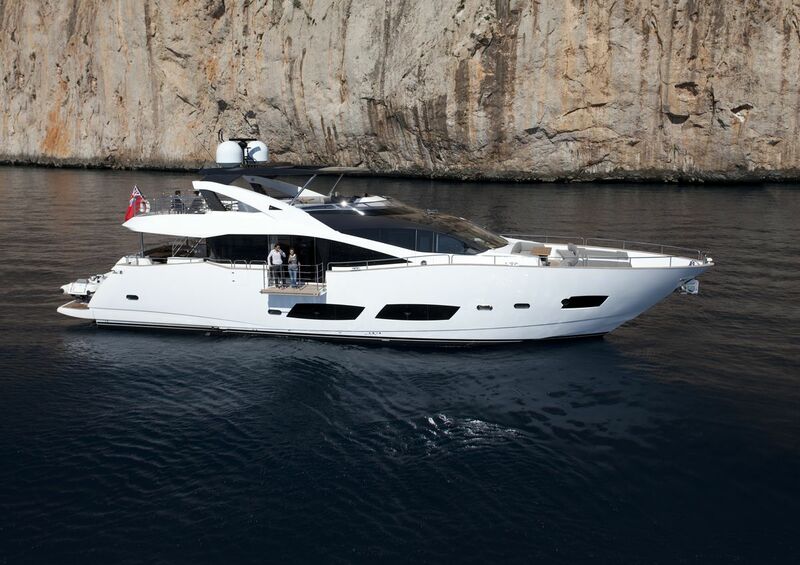 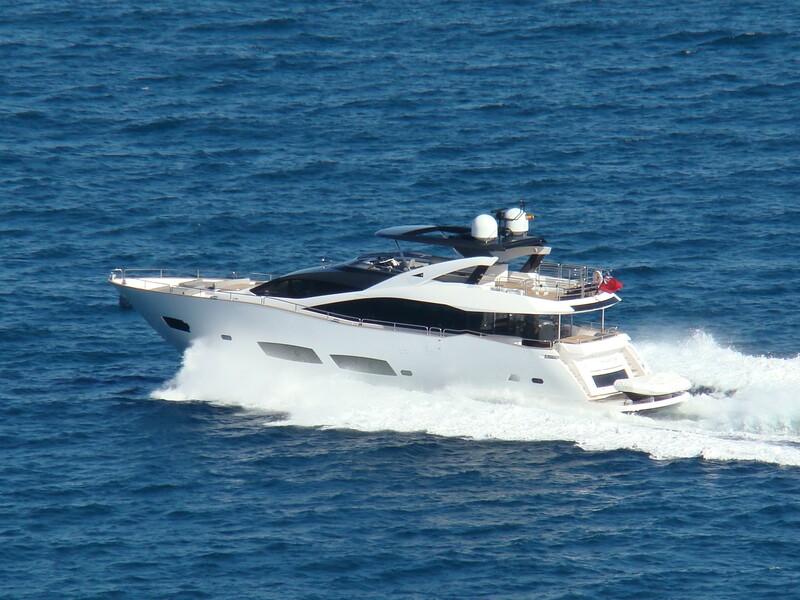 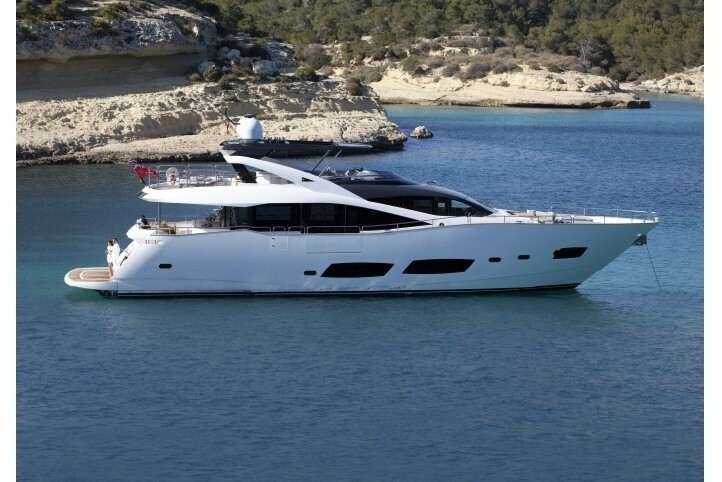 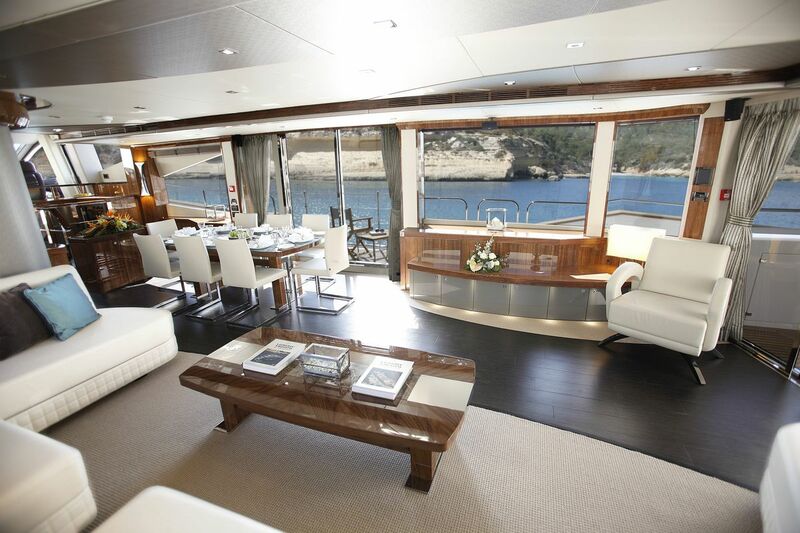 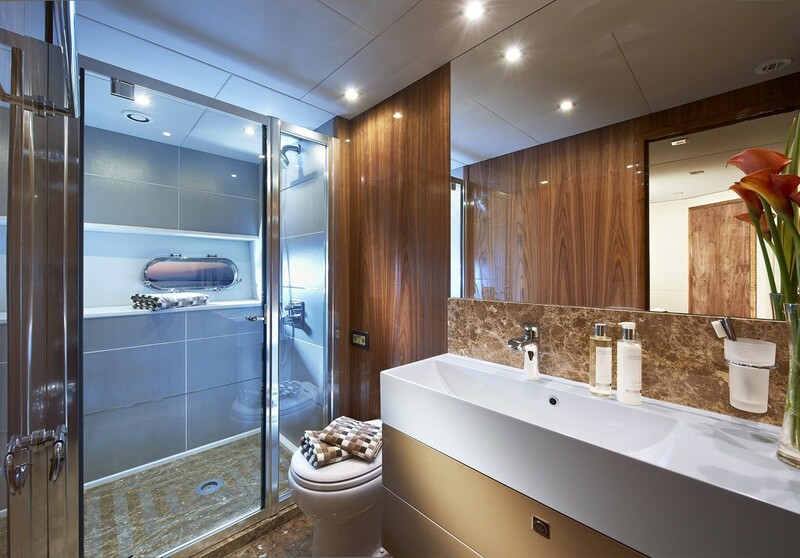 Motor yacht AQUA LIBRA offers accommodation for up to 8 guests in 4 cabins. 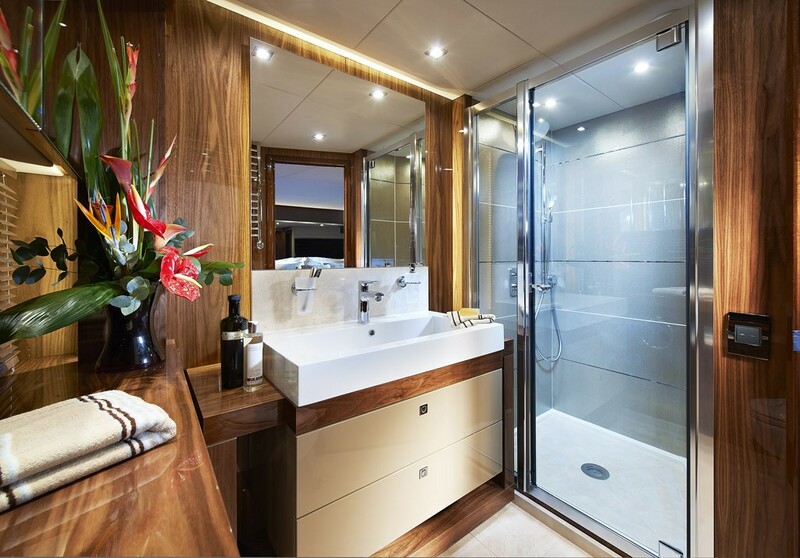 The cabins are stylish and comfortable offering air conditioning, ensuites and entertainment facilities, with space to relax and unwind. 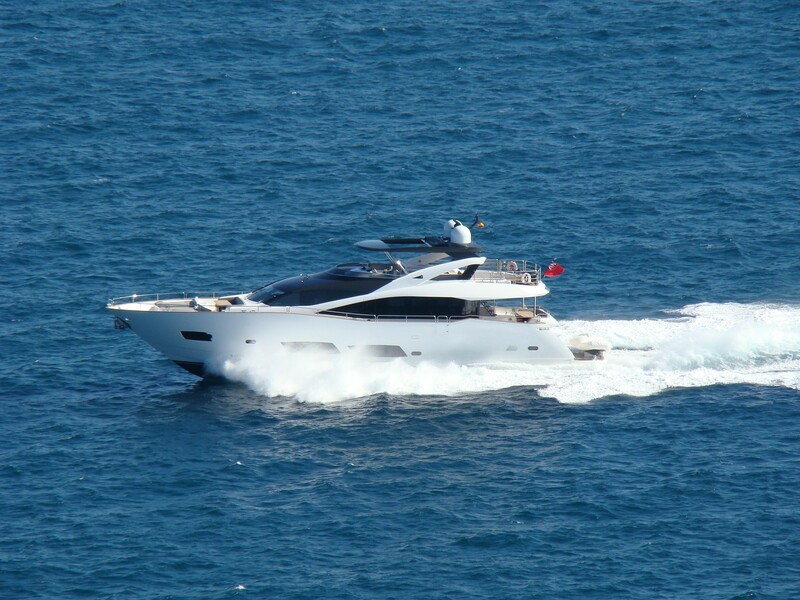 M/Y AQUA LIBRA has the following Tenders and Toys: Tender Williams TurboJet 445 EN ISO 6185-3, Seabob, Water skis for adults & children, Wakeboard Tubes, Banana, SUP Paddle, One inflatable canoe for 2 pax, Inflatable Island, Fishing & Snorkeling Equipment. 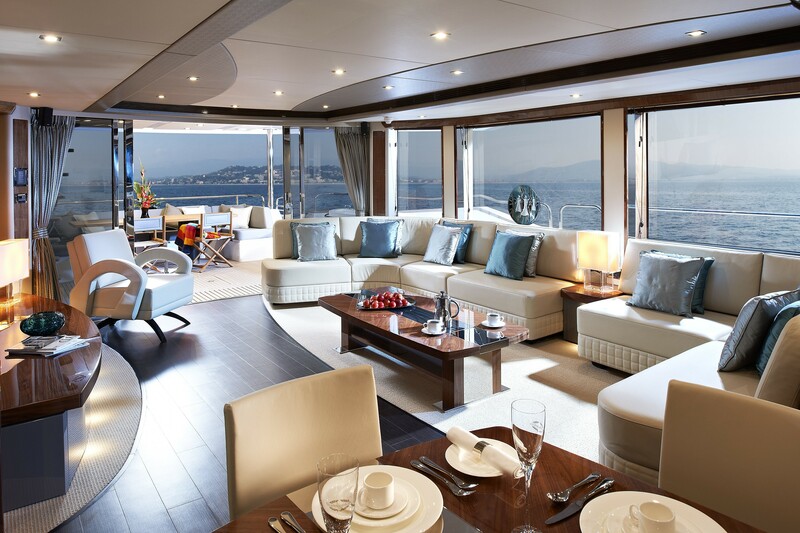 Treadmill, With state of the art technology and entertainment systems including an Integrated Computer & A/V System through Apple Mac & Herman Kardon (supporting AirPlay), Docking Stations, Play station, plus the yacht also has access to satellite TV channels. 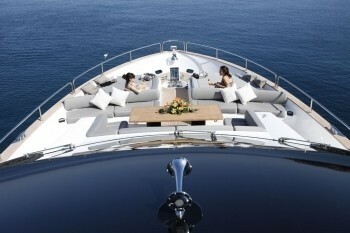 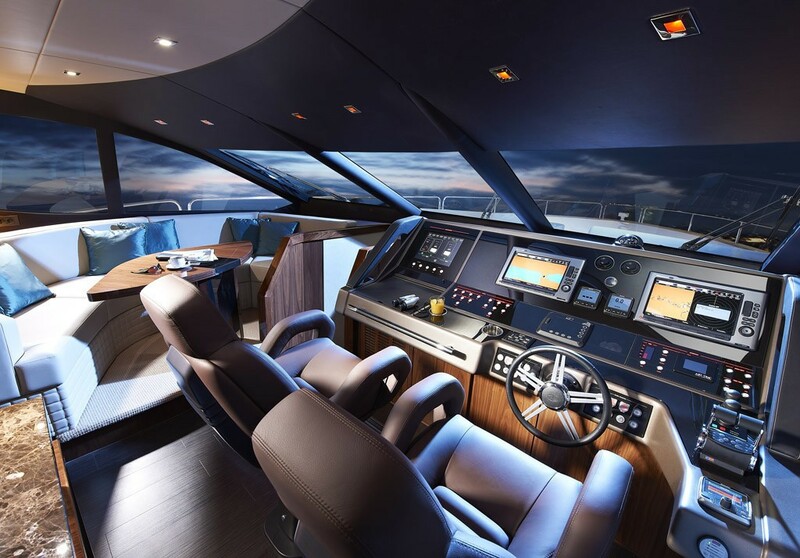 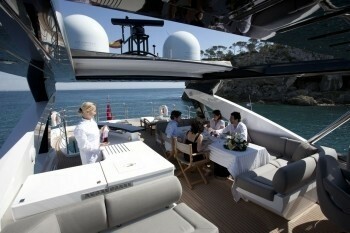 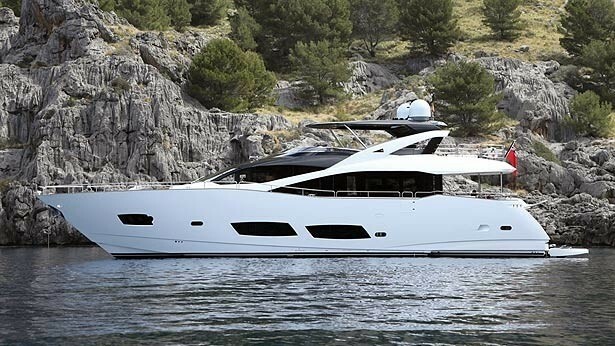 Guests may also enjoy Aqua LIBRA’s Home Cinema throughout the yacht.